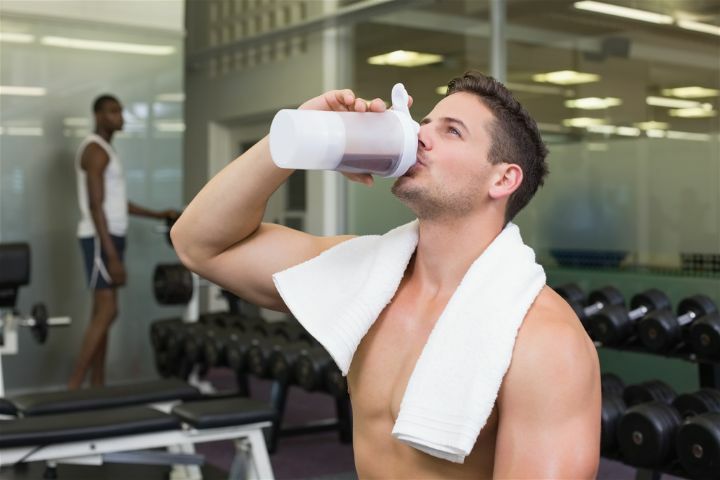 When To Take Creatine: Should You Use Creatine Pre Or Post Workout? When Should You Take Creatine? Is It Best To Take Before Or After Workout? Do you want bigger muscles? Then you should already know how to adjust your diet with plenty of calories and protein, while your workout includes a lot of weightlifting. But you need supplements too, and Creatine is a very popular choice due to its numerous benefits. But you have to be aware as to when to take Creatine. Creatine is one of the most highly studied supplements in history. These are just the tip of the iceberg, as its list of benefits is actually mind-bogglingly long. However, these benefits are effect by the timing. You have to figure out the best time to take Creatine. If it’s a workout day, you need to figure out whether you should take Creatine before or after the workout. You might even wonder whether you should take it during the workout itself. What about days when you’re not scheduled to work out? Do you still have to take Creatine then? These are the questions we will tackle so you’ll have a clearer idea of the proper timing for Creatine. 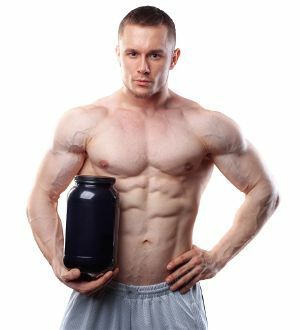 We have also separate article about facts and myths of creatine side effects. For many, taking creatine before the workout makes a lot of sense. After all, if Creatine pre workout will boost your strength then obviously that should happen before you start lifting the weights. It’s a pretty logical bit of reasoning. You get more power for your muscles, so you’re able to lift heavier weights. This activates more of your muscle fibers, and you’re able to build bigger muscles as a result. 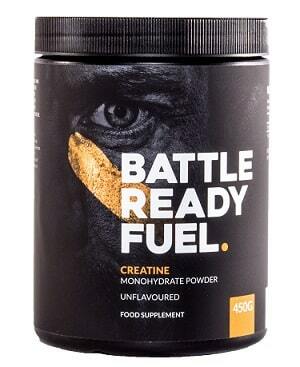 For most, the usual dosage is about 5g of creatine monohydrate. This should be taken right before the workout. However, this isn’t a stimulant. This means you may be taking creatine on top of whatever pre workout supplement you usually have. The problem with this approach is that mixing creatine with stimulants doesn’t lead to pleasant effects. Instead, this can lead to GI irritation. When you have an irritated GI, you’re not able to absorb the creatine all that well. In fact, you may also have trouble absorbing other nutrients from your diet and supplements. So this will work only if your regular pre workout supplement doesn’t have any stimulants. It also works if you take creatine solo, without other pre workout supplements in the first place. Others believe that creatine is best taken after a workout instead. Most people take the creatine with food, so you replenish your creatine levels as well as your nutrient levels. You should take a lot of protein and carbs for muscle growth and energy. 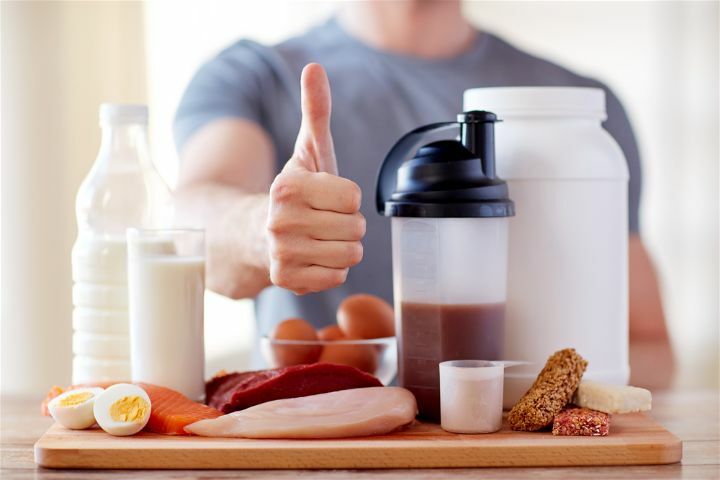 Protein is absolutely vital, though the carbs aren’t completely necessary if you’re not bulking up and you actually want to maintain (or lose) weight. At this point, your body is able to absorb more of the creatine, and you have no GI issues to deal with as well. You can enjoy the recovery improvement as well. Is It Effective During the Workout? 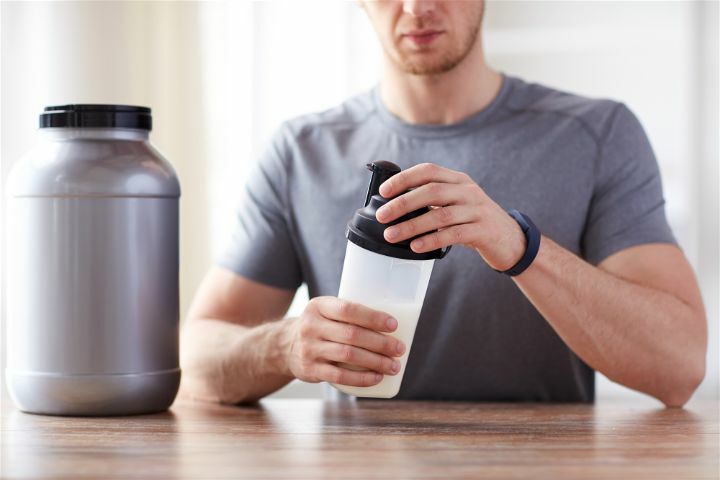 If taking the creatine right around the workout schedule is crucial, then at some point you may have wondered whether it will be better if you take Creatine during workout times. However, this approach doesn’t seem sound for several reasons. One main reason is that you can’t just take the creatine while you’re lifting and expect it to immediately make you stronger. This will take time since your body has to process the creatine and absorb it. It’s not like the spinach that Popeye takes to beat on Bluto. Creatine also doesn’t really help with your water balance. It makes things worse because the creatine draws the water from your muscles into your blood and intestines. That will actually make your workout performance worse. Finally, just taking the creatine while in the middle of your workout is distracting. You’re not able to concentrate on what you’re doing if you also have to think about taking creatine in the middle of it all. What's Better? Before OR After a Workout? You may not have to choose between taking creatine before a workout and taking it after. One study in 2013 regarding when to take Creatine had recreational male weightlifters divided into 2 groups. One group took 5 grams of creatine monohydrate before the workout. The other group took the 5g of creatine after. On the days when they didn’t work out, the men simply took the creatine whenever they wanted. The study continued for 4 weeks, and then the researchers took down the results. They found that both groups gained lean muscle mass and enjoyed greater muscle strength. They also found that these gains were not accompanied by significant increases in fat cells either. The research found that there were no significant differences between the 2 groups. They both showed similar benefits from taking creatine. It didn’t matter if they took the creatine before or after the workout, as long as they took the creatine sometime near the workout period. This may actually be the best timing of them all. This has also been demonstrated by an Australian study involving people who took creatine at different times. One group had weightlifters who took a shake with creatine, protein, and carbohydrates immediately before and immediately after the workout. The other group took the same supplements, but they took them in the morning and then at night. 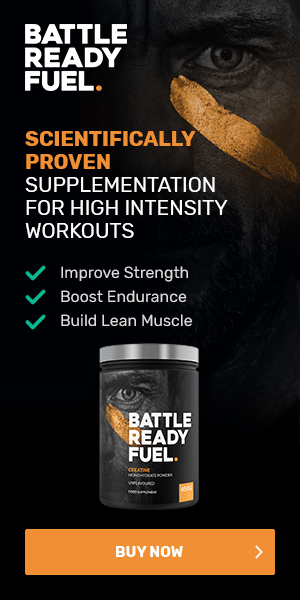 After 10 weeks, the researchers noted that the first group enjoyed astounding improvement compared to the morning and nighttime creatine consumers. The ones who took the creatine right before and after the workout had a greater lean muscle mass increase by 80%, compared to the other group. Their muscle strength also had an increase that was 30% better than the second group. The ones who took the creatine right around the workout also lost body fat, and this was a benefit not enjoyed by the ones who took the creatine in the morning and at night. There are days in which you need to rest from working out to give your body and muscles time to recover and gain mass. So on these days, when should you take Creatine? To answer this, let’s first clarify how you start taking creatine in the first place. You start by loading up with creatine, by taking about 20 grams a day for about 5 days. This will then quickly raise your muscles’ creatine content over the next few days. After this, you then simply need to maintain the level of the creatine. The creatine is used up by your workout out, which is why it’s so important to take the creatine right near your workout time. On the days when you don’t work out, you can then take the creatine at a time when it is most convenient for you. However, there are some good reasons why you may want to consistently take this with your breakfast. If you also practice intermittent fasting, you can take the creatine with the first meal of the day. One good reason is that it seems to start your day right when you can enjoy some gains with the creatine supplement. When you take in your first meal of the day, you also get a huge insulin response. This boosts your uptake of creatine, so you’re able to absorb the supplement more efficiently. When you take the creatine earlier in the day, you’re less likely to feel the urge to urinate during the night. First of all, taking creatine works. So that’s what’s really important. This means that as for the timing of the creatine consumption, the worst answer you can give is “never”. Studies do indicate that the gains are greater when you take it around your workout time. It’s not recommended that you take it during the workout, but you can take it before or after. You can also take it before and after. You may want to cut down on the dosage for each time because the research suggests that after the loading phase, you should only take 5g of creatine. Anything over this amount gets wasted as you don’t enjoy even more benefits. So this means you can take 2.5g before the workout and then 2.5g after the workout. Try to take this with a meal or a protein shake, as the protein and the amino acids help your body to retain creatine. Debates about the perfect time to take creatine continue to go on because not every person is the same as another. So you may want to do some experimenting on your own. Take it before the workout for a while, and then switch to after the workout. Sometimes learning when to take Creatine will require some experimentation on your part. You can also try doing both times to find out if your results are any better. Then don’t forget to take it during your non-workout days, and try it with breakfast first.